Sapna enjoys a huge fan following and her videos have almost always gone viral. 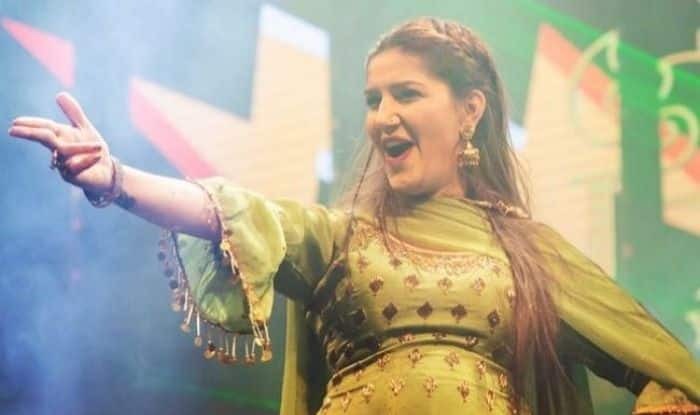 Haryanvi dancer and singer Sapna Choudhary, known for her killer dance moves, is a hot favourite among people, especially those from the northern part of India. She has a huge fan following and any song and dance of hers goes viral the minute it is released and shared on online, and such is the love for her, that people want to listen to her songs everywhere they go. The craze though, went overboard at one time when a man, who wanted to listen to Teri Aakhya Ka Yo Kajal at a bar, smashed a bottle on a waiter’s head all because he was denied the song. According to latestly.com, the incident happened in Nodia at the Gardens Galleria Mall where a man had taken his wife to celebrate her birthday. The man had apparently booked the entire bar and restaurant for the celebrations that had around 20 guests. As the evening progressed, the man is believed to have asked the DJ to play Sapna’s Teri Aakhya Ka Yo Kajal song, but the DJ did not have any numbers from the Haryanvi artist in his playlist. This led to the partying group becoming angry at the DJ and manager, and they confronted them over the lack of their favourite song despite them having paid a hefty amount. As the argument heated up, the restaurant owner and one of the waiters jumped in to calm down the situation. But the group, which was too intoxicated, paid no heed to them, and in the middle of the scuffle, the man picked up a bottle and smashed it on the head of the waiter. With things getting out of hand, the cops were called and four people, Chandrashekhar Chauhan, main accused and his friends, Sonu Pandit, Vikas Mishra and Agam Sharma, were arrested and charged under section 151. Surely it is not something that Sapna would want to see from her fans.